If you are familiar with the Worcester area you no doubt know about Green Hill Park which is Worcester’s largest park. The park land was sold to Worcester by the Green family back in 1903 upon Andrew Green’s death. 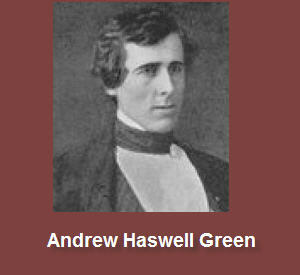 The Green family had a long history in Worcester and Andrew Green eventually achieved even more notoriety by being the Commissioner of Central Park in New York. The Green family recently uncovered a treasure trove of historical items that had been boxed up through the years with no one really understanding both the historic and dollar value of the items. Both the Globe and Telegram have articles that discuss the discovery and the planned auction that is going to be taking place later on this week. If you are a collector or even just a lover of historic items the Worcester Historical Museum is having an Auction Preview Party at the DCU center tonight from 6-8:30pm. You have to pay though $35 for non-members of the Worcester Historical Museum. You save $10 if you are a member. The auction is said to be unreserved which means everything will sell regardless of the amount level of the bid. Though it is understandable that the Green family is selling these items I for one can only hope that Worcester area organizations like the Worcester Historical Museum will be able to get some of the items for the City of Worcester. It will be interesting because the items are not just Andrew Green specific. They are items accumulated by 10 generations of the Green family. Andrew Green also was a big figure in New York City so there may be some organizations coming from that area. One of the more hyped up pieces of the collection is a copy of George Washington’s will which though a copy is said to be one of only 13 that are still known to exist. The sale of historic items can be controversial since many of us feel that history belongs to all of us but hopefully these items will end up in places where all of us can appreciate them. You don’t have to make the preview party to participate in the Green Family auction that takes place from this Thursday the 9th to Sunday the 12th of September 2010.